A great Hollywood blockbuster score doesn’t come around too often — after all, no one wants to spend $100 million or more then weave in a risky soundtrack that could derail an audience’s reception. Thankfully, Marvel Studios went against the grain and let the legendary Alan Silvestri deliver a rousing, old school score for their 2011 period action adventure flick Captain America: The First Avenger. If there’s anyone worth taking a gamble on, it’s Silvestri, a two-time Oscar-nominated composer whose works can be heard in such films as Who Framed Roger Rabbit, Forrest Gump, The Abyss, The Quick and the Dead, Contact and the Back to the Future trilogy. Following up his inspired work on Captain America, Silvestri returned to the Marvel movie universe for another round: The Avengers. I spoke to the composer about taking on the ultimate superhero team-up, everything from the pressures of working under Marvel’s calculated master plan, working with Joss Whedon and figuring out how to weave all these different heroes into one musical smorgasbord. Amazingly, Silvestri didn’t take too long a break after knocking Avengers out of the park: he already has two other projects in the pipeline. What was the process of you becoming involved with The Avengers after your work on Captain America? They must have been happy with it. It’s a fantastic score, by the way. How did you get brought back onto the Marvel train? Was there a thematic reason for bringing you back? 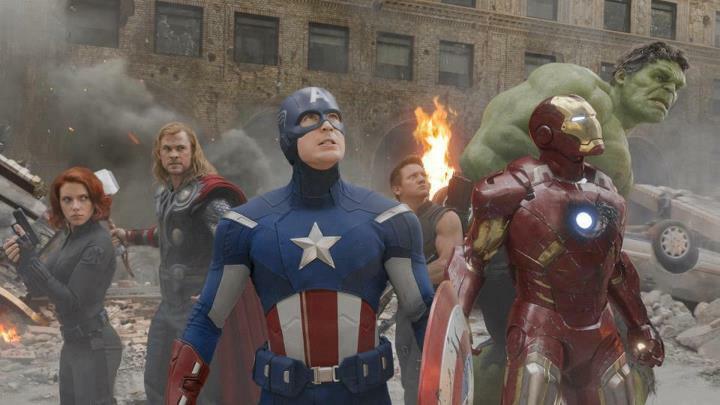 Marvel has done a fantastic job of keeping their films connected through design and tone, in order to bring all these heroes together. Bringing someone back seems calculated.